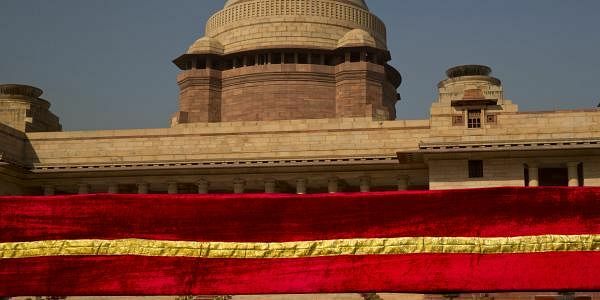 NEW DELHI: A fire broke out today morning in the accounts branch of Rashtrapati Bhavan but it was doused within minutes. No one was hurt in the blaze though some furniture was damaged. A call was received today at 8.45 AM about a fire in Rashtrapati Bhavan's accounts branch, said an official from Delhi Fire Services. Six fire tenders were rushed to the spot and the fire was doused within 10 minutes. An inverter, a chair and a table were gutted in the fire. The cause of fire is suspected to be a short-circuit and further probe is underway, he said. A few days back a minor fire in the server room of Parliament House had caused panic ahead of the Budget session.